NEW: Music Workshops at Colour My World! ‘Tis the season for song and making merry! 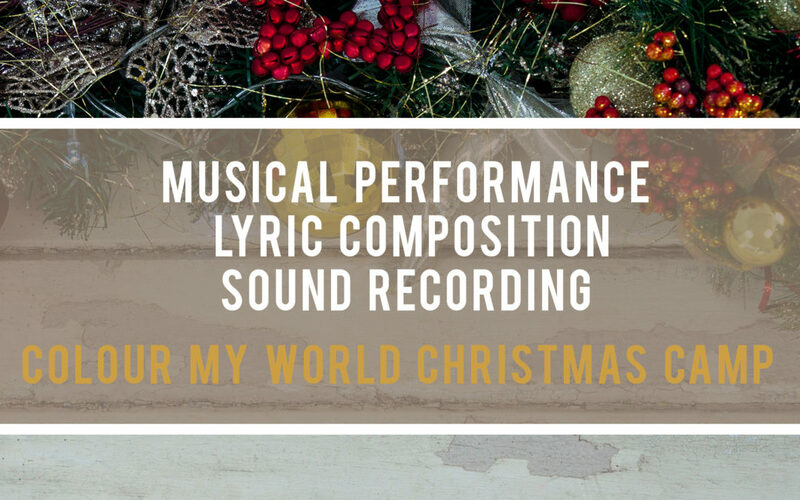 We are pleased to announce that Music performance, Lyric composition and Sound Recording workshops will be coming to Colour My World this December and January as part of our Christmas and New Year’s Holiday camps. Led by professional sound master and engineer (Tonmeister) Roy Cheung, participants ages 6 years and up can learn how to sing in both solo and group contexts, set lyrics to music and much more. At the end of each workshop, your mini-maestro will be able to make a professional sound recording of their performance, which you can download and share with family and friends! Workshop dates run on: 20-22 Dec, 27-29 Dec and 3-5 Jan, from 10.00 am – 11.15 am (10 years +) and from 11.30am – 12.45pm (6-9 years). please click and open our online guide below!